Ready to see some Graham Bradleys and other tractors sold through the Sears catalog? Yes, that is right, these tractors were sold through the catalog that also sold houses and just about anything an inspiring individual could want! The Grahams will be gathering this year at the Gilmore car museum June 27-29, 2014. 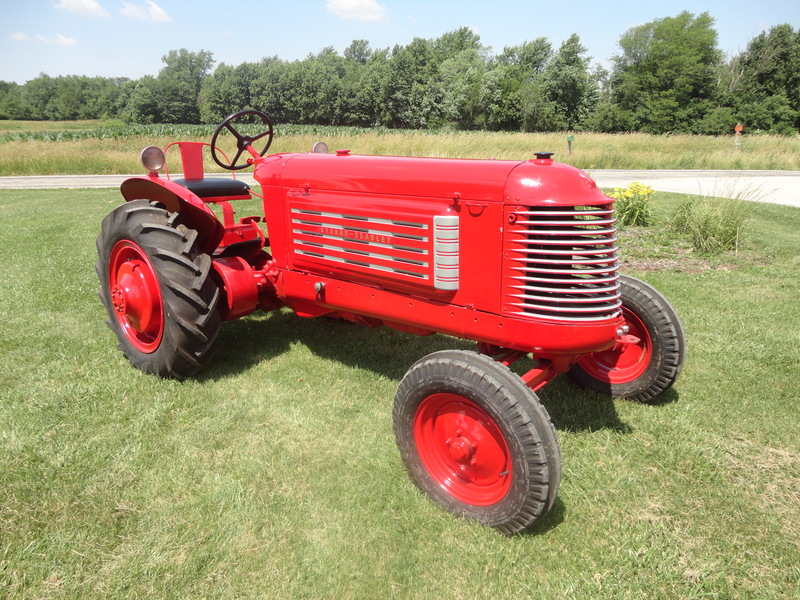 The show is the 35th Annual Antique Tractor, Engine and Machinery Show, sponsored by the Kalamazoo Antique Tractor, Engine and Machinery Club, featuring BF Avery & Graham Bradley Tractors, Gas Engines and Trucks pre-1989. The club hopes to have Graham Bradleys, Bradleys, Sears Economy tractors and all the rest of the Sears related tractors at the show. This year we will all be remembering the late Joe Harvath that got the ball rolling for this extraordinary show. For more information about the Kalamazoo Antique Tractor, Engine and Machinery Club, contact Larry Langshaw by calling (269)671 – 4199 or emailing him at langshaw@msu.edu. When traveling the to museum, you almost feel like you need a fedora or a movie star look to set foot on this pristine campus that sets on 90-acres. Located between Detroit and Chicago is the Gilmore Car Museum is quite an amazing place. Even though I toured the museum last year I don’t think I knew until doing research for this article that Kalamazoo was once home to 17 independent automobile manufacturers including Barley, Michigan, Handley-Knight, and Roame and the famous Checker Cab Company that built cabs from 1928 until 1982 Log onto http://www.gilmorecarmuseum.org/index.php for details about the museum. The three-day show features a Saw Mill team with demonstrations, steam engines, daily tractor parade at 1pm, kid’s pedal tractor pulls, and an antiques & crafts market.. If you have never seen the sleek lines of the Grahams, come to the show and join us. For more information about the club (a loosely titled name for a group that just loves this style tractor) log onto facebook and check out https://www.facebook.com/GrahamBradleyAndSearsSoldFarmTractorsClub where James Fred, our young and fearless leader chronicles upcoming events. James also is the editor of a newsletter and if you would like to find out more about the publication you can message James though the Facebook page. kind of great informative web site. Normally I do not read article on blogs, but I wish to say that this write-up very forced me to check out and do it! Your writing taste has been amazed me. Thank you, quite nice post.